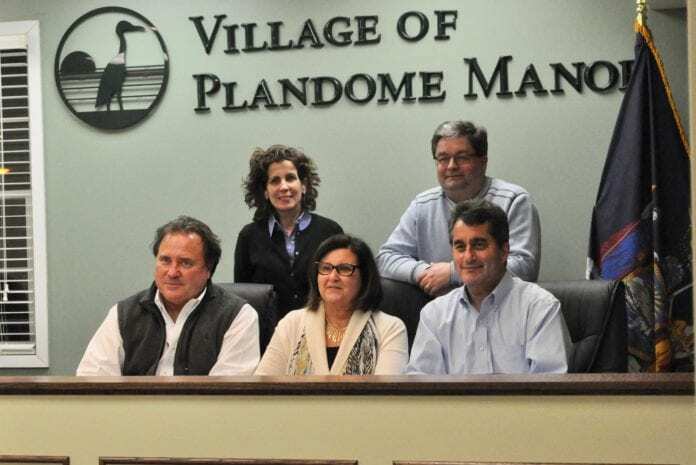 The Plandome Manor village board started the new year Tuesday night by appointing a new village counsel and renewing its contract with the Port Washington Fire Department. The board approved John Farrell, a partner in the law firm Sahn Ward Coschignano, as village counsel. Farrell’s areas of expertise include zoning and land use planning, environmental law, municipal law and legislative practice. He previously served as an assistant town attorney for the Town of Babylon. Farrell replaces Rachel Scelfo, who joined the Town of Babylon staff as commissioner of planning and development. She will continue to serve as the land-use attorney for Plandome Manor representing the boards of zoning appeals, design review and planning. The village is seeing a small increase in the cost of the Fire Department contract. Christopher Bollerman, chairman of the department board of directors, said the village contract is for $37,777, an increase of less than $1,000 from 2018. He said the overall 2019 budget for the department is $4.2 million, an increase of 1.98 percent from last year. Bollerman said that the department responded to 16 calls in Plandome Manor last year – 11 fire calls and five ambulance runs. Mayor Barbara Donno said of the volunteers, “we are grateful for all that they do” and asked Bollerman “how are you getting volunteers?” He said that while the department is getting new recruits it faces the problem of retaining members – a situation hitting volunteer departments elsewhere on Long Island. A major factor is the cost of homes in Port Washington, he said. “We try to nurture” the younger members, ages 17 to 27, he said, but when it’s time to buy a house they head for Suffolk County where prices are more affordable. The board also discussed Local Law 1, which would amend the zoning code to underscore that renting or leasing any part of residential property for parking, including driveways, is prohibited. Donno explained that commercial activity in residential areas has always been forbidden, but the proposed law focuses on parking. The issue was raised when someone distributed flyers seeking to rent driveway space, she said. The board held off voting because the law involves a zoning issue and is now before the Nassau County Planning Commission, which has 30 days to raise any objections. It was also noted at the meeting that the private roads in the village are in disrepair and a proposed local law would give the village the authority to make repairs and bill the adjacent property owners equally. One resident asked if homeowners would be charged for repairs if their houses were not on a private road but they needed to use the road to access the village waterfront. Donno said that only the private road homeowners whose part of the road is directly affected by the repaving will be charged for the work with all equally sharing the cost. “The board will address and take into consideration all questions and comments at the public hearing,” she said, which will be held at the regular monthly meeting on March 19, and the board will likely vote on the proposal at that time. Preparations are underway to begin the long-awaited repairs to the culvert under North Plandome Road that drains Leeds Pond into Manhasset Bay. Road repairs at the site are also needed and the village should obtain a bond from the construction company, Donno said. Before work can begin, National Grid needs to relocate a gas main that passes over the site. The road will not be shut down during the work, but a single lane will be available for traffic in alternating directions, similar to the system used during National Grid’s recent gas main work on Plandome Road south of the culvert site. In other business, the village bought a $1 million cyberextortion insurance policy at a cost of $3,841. The village elections will be held on March 19.